Artist/Author: Grigg, Gordon and David Kirshner. 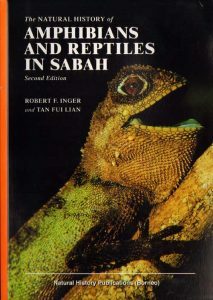 A comprehensive review of current knowledge about the world’s largest living reptiles. Gordon Grigg’s authoritative and accessible text and David Kirshner’s stunning artwork and photographs combine perfectly in this contemporary celebration of crocodiles, alligators, caimans and gharials. 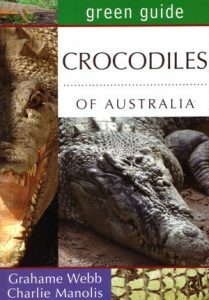 This book showcases the skills and capabilities that allow crocodylians to live how and where they do. It covers the biology and ecology of the extant species, conservation issues, crocodylian human interaction and the evolutionary history of the group, and includes a vast amount of new information; 25 per cent of 1100 cited publications have appeared since 2007. 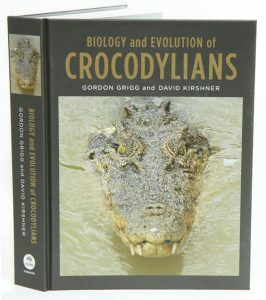 Richly illustrated with more than 500 colour photographs and black and white illustrations, this book will be a benchmark reference work for crocodylian biologists, herpetologists and vertebrate biologists for years to come. Reaktion Animal Series. In Crocodile, Dan Wylie tracks the 23 recognized crocodilian species across every continent bar Antarctica. He explores the crocodile in myths, artworks, and literatures around the world, from Egypt and India, through Africa and Australia, to the Mayans and the Malaysians. Wylie demonstrates that although crocodiles – more accurately, crocodilians, which include the alligators, caimans, and gharials – are most commonly associated with ferocity, repugnance, and deceit, they have surprisingly often been respected and revered in human history. All but wiped out in the middle of the twentieth century by hunters and skin-traders, crocodilians are now making something of a comeback, though some species still verge on extinction. As apex predators, they are today an increasingly important indicator of ecosystem health: Crocodile suggests that this magnificent animal is more than due for positive reassessment. Artist/Author: Webb, Grahame and Charlie Manolis. 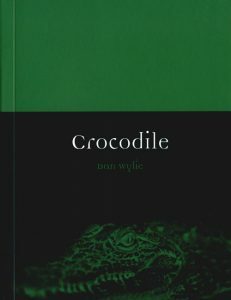 Many questions about crocodiles are answered in his useful guide. 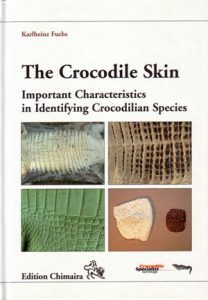 The crocodile skin: important characteristics in identifying Crocodilian species. This revised edition will assist identification and enforcement at all levels: export and import, and within tanning and manufacturing facilities. Using this book you will learn to make determinations based on the description of key characters. Crocodilians: their natural history and captive husbandry. Artist/Author: Trutnau, Ludwig and Ralf Sommerlad. 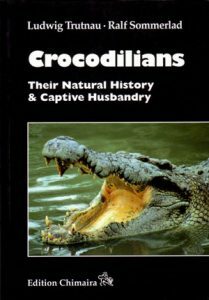 This book combines the current knowledge on crocodilian biology and systematics with detailed information on keeping and breeding. 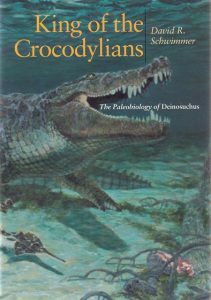 King of the Crocodylians: the paleobiology of Deinosuchus. During the Late Cretaceous a new type of giant predator appeared along the southern coasts of North America. It was a huge crocodylian called Deinosuchus. Neither a crocodile nor an alligator, it was at the base of the ancestry of both modern groups. 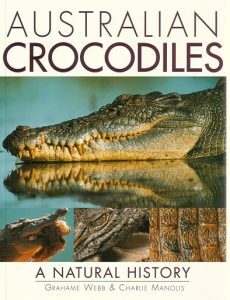 Australian crocodiles: a natural history. Uncovers the private lives of crocodiles, with comprehensive studies on reproduction, growth, movement, behaviour, habitats and food. Also covers attacks, handling and farming.